Sallie Cochren is a LibraryThing Author, an author who lists their personal library on LibraryThing. 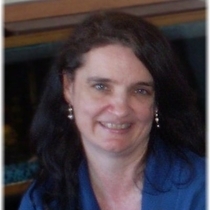 See Sallie Cochren's author page. About meI am a retired Language Arts teacher and Indie author. I have published several books and short stories on Amazon. When I am not writing, I enjoy spending time in nature, watching movies, and playing with my cat. About my libraryI love to read as much as I love to write and many authors have inspired me. One of the genres I enjoy is post-apocalyptic fiction. I am a huge fan of the "Hunger Games" and "Divergent" series. Also, a great book which isn't as well-known is "Legend" by Marie Lu. I love that whole series as well. I have started my own post-apocalyptic fiction series called "Check Mate" and currently have the first book written. Another series I have started is "Alien Cats." Both series will be a trilogy when I am finished.